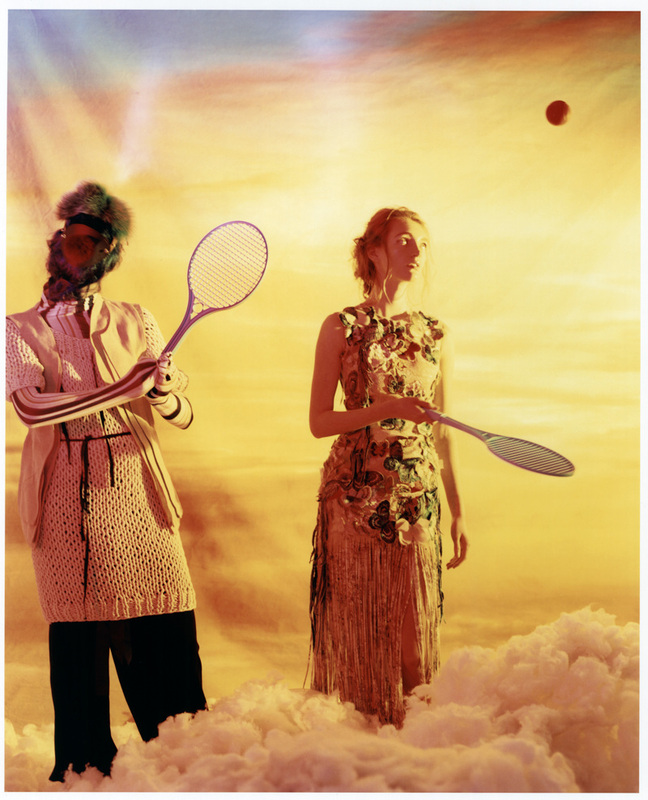 In his latest shoot for Pylot Magazine fashion photographer Henry Gorse explores the subject of imaginary friends. The shoot features one of the key looks from Ong-Oaj Pairam Spring Summer collection, a hand embroidered evening dress with fringed details. The dress features an array of butterfly and bird three dimensional embroidery which had been created by hand in a studio in Brighton using traditional Irish machine embroidery. The inspiration behind the dress was the resplendent Quetzal bird. A native Guatemalan bird that is considered divine in local culture. As the Quetzal cannot survive in captivity, Ong-Oaj was inspired by the notion of freedom and empowerment when designing this garment. The birds and butterflies that embellish the dress, had been created using a traditional Irish embroidery machine. These were then appliquéd by hand onto the final garment.